Marjories Seedling plum (Prunus domestica 'Marjorie's Seedling) is a juicy, sweet flavoured, blue plum and is particularly good for those who want supplies of home-made jam. A fast-growing, disease resistant plum variety. 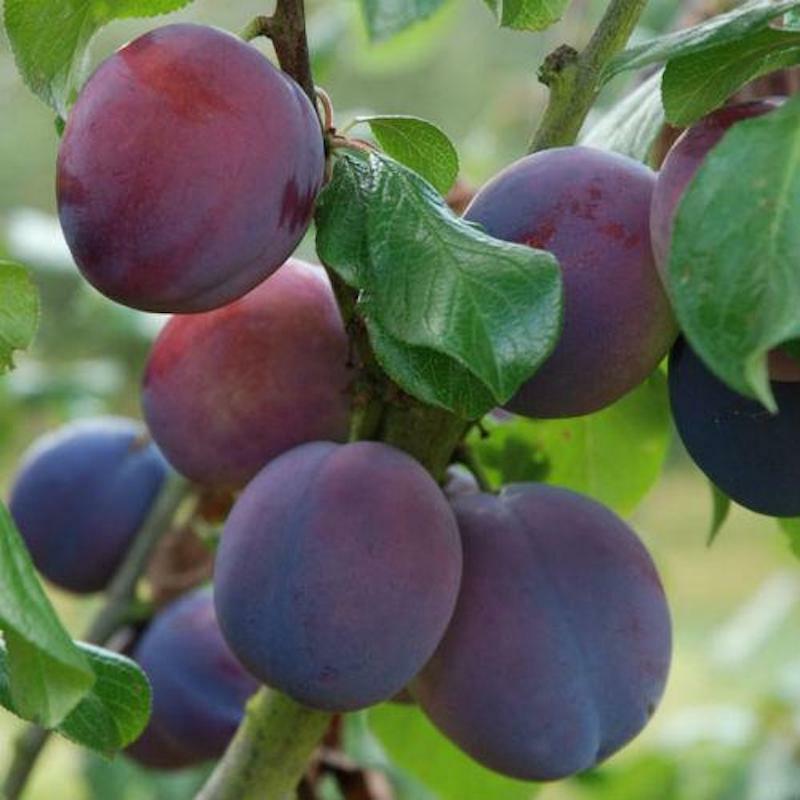 We have found this variety to produce good, heavy crops of plums every year. The catalogue lists Marjories Seedling plum as UK suitable meaning that unless you live in an area of the UK always on the weather news for extreme weather cold and wet enough to make Penguins gibber then you can grow this across our Island. Marjories Seedling plum has also been recognised by the RHS as a particularly outstanding plum tree and decided to give it an award. We do not know if there was an award ceremony or acceptance speech but we do know it has been star struck as it refuses to sign autographs. Fertility: This plum tree is self-fertile so there is no need for another other plum for pollination. This means you will get plum fruit without the need of pollen from another plum tree. This plum is in flowering period is C5. This plum will act as a suitable pollination partner for plums in the flowering periods C4 and C5.